The Glenn Beck Review: Rules for reactionaries: lie, distort, misinform…. Regular viewers of the Glenn Beck Show on Fox News know that Beck often refers to Saul Alinsky’s Rules for Radicals, A Pragmatic Primer for Realistic Radicals. Regular readers of The Review will not be surprised that the reality of the matter varies widely from Beck’s short hand claim. Supporters of Glenn Beck may be surprised that Alinsky devoted an entire 24 page chapter to the subject of means and ends with 11 rules to follow. 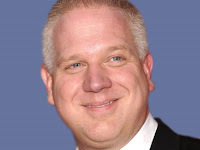 The Glenn Beck Show is not a blend of information and entertainment as he claims; it is a blend of misinformation and entertainment, where his viewers are busy checking into people Beck slings mud at, instead of fact checking any of Beck’s many false assertions. Mr. Beck; the table has turned. The more important the end to be desired, the less one can afford to engage in ethical evaluations of means. This sounds pretty close to "The ends justifies the means" to me. Radicals think their ends are very, very important and so can not "afford" to worry about the means. It doesn't sound like Glenn is stretching the point to me. Well, Dave, maybe you should consider rewriting Alinsky's book. Beck distorts what Alinsky wrote about means and ends. He's not stretching his point, he's condensing them into a complete distortion of what Alinsky wrote. When Beck claims that Alinsky wrote that "the ends justifies the means," he's deceiving his viewers.